SL Laser & Beauty have technicians with at least 3 years’ experience. Our technicians are Sloughs top eyelash technician professionals. While you are sleeping for 60-90 minutes we use qualified glue and attach one extension on one single lash to make your lashes look beautiful and more full. You will have a deeper and more clarified look to your eyes that will last three to four weeks without the use of mascara or eyelash strips. Our highly trained, creative lash artists, ensure that your lashes look great. Eyelash extensions can be worn everyday for any activity including work, school, taking the kids to practice, or working out at the gym. Eyelash extensions are individual, synthetic silk eyelashes that are applied individually to your natural eyelashes with a medical grade adhesive. 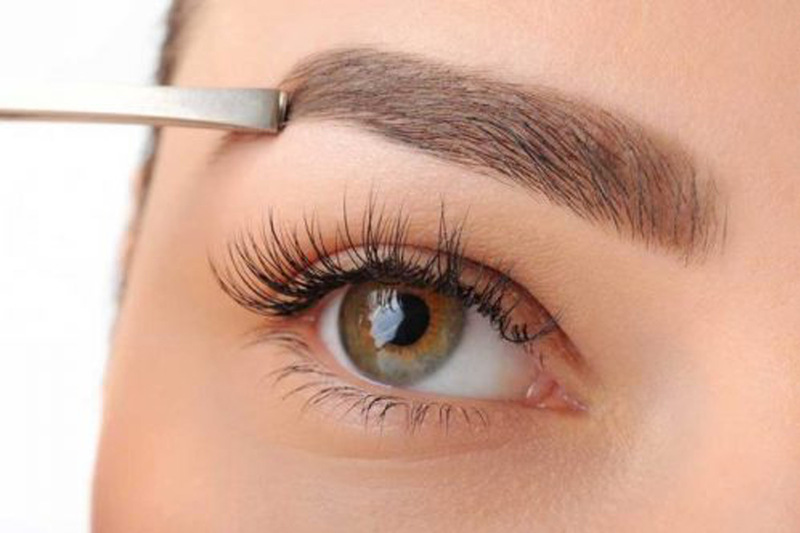 This means that each of your eyelashes will have one eyelash extension attached. This ensures that your natural lashes are treated properly and remain healthy. Our lashes are designed to last as long as your natural lashes. When your lashes naturally shed, our synthetic lash goes with it. Most people need refills every 2 to 4 weeks depending on factors including your lifestyle, skin type, etc. How can I make my eyelash extensions last longer? Your technician will review aftercare instructions with you and suggest products that will help maintain your new eyelashes. Constantly rubbing your eyes or cleaning them vigorously will certainly decrease their longevity. Do not use any oil containing cleansers or waterproof mascara. Can I swim in eyelash extensions? Yes! Most people will be able to swim and enjoy water activities. Occasionally, swimming can shorten the life of the extensions for some people but everyone is different. The adhesives are waterproof but the hair shafts absorb water which may loosen the adhesive bond. As with all skin, hair, makeup or body products, everyone can react differently to the same product. How long does it take to apply a full set of eyelash extensions? A full application will take between 1.5 to 2 hours depending on your technician’s skill level and experience. Although the service takes some time to do right, the results are definitely worth it. Eyelash Extension Refills take 45 minutes to an hour. How many eyelash extensions are applied on each eye? Generally you will receive 30-60 or more extensions per eye depending on the number of natural lashes you have to attach to. The result is long, beautiful, and natural looking extensions. Will eyelash extensions make my eyelashes fall out? Not if the eyelash extensions are applied correctly, but remember your natural lashes do shed every 30-120 days (according to proven studies). The Lash Artists are trained in properly applying and removing eyelash extensions. Why should I invest in semi-permanent eyelashes? It is normal for the client to experience the loss of a few lashes during the first 24hrs after the application.